Summary: A recent report titled “Internet of Everything (IoE) Market Expected to Reach $3,352 Billion, Globally, by 2022” offers valuable insights related to the market such as the market share, size and growth. 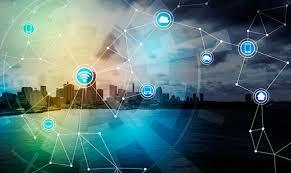 Internet of Everything (IoE) Market Report, published by Allied Market Research, projects that the global market was valued at $1,205 billion in 2014, and is expected to reach at $3,352 billion by 2022. The hardware segment is expected to dominate the global market from 2016 to 2022. The Internet of Everything (IoE) industry in North America accounted for 36% share of the global market in 2014, while the Asia-Pacific market is expected to witness significant growth rate during the forecast period. Global Intraoperative Neuromonitoring (IONM) Markehttps://www.alliedmarketresearch.com/intraoperative-neuromonitoring-marketwas valued at $3,036 million in 2015, and is projected to reach $4,900 million by 2022, growing at a CAGR of 7% from 2016 to 2022, according to a new report published by Allied Market Research.